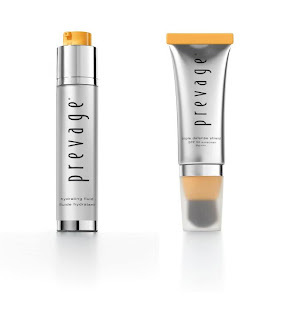 Elizabeth Arden is celebrating exclusive launch of PREVAGE® Hydrating Fluid and PREVAGE® Triple Defense SPF 50 PA+++. Enjoy 20% off regular priced Elizabeth Arden products until this Sunday, 18th March. Promotion exclusive only at Robinsons Centrepoint & Raffles City. 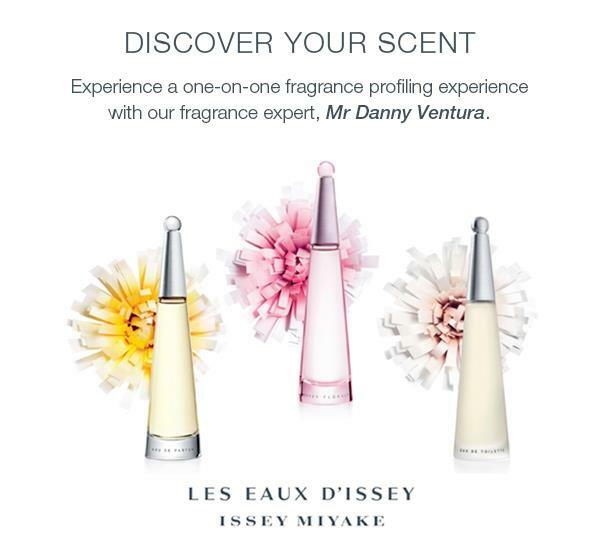 Metro offers one-on-one fragrance profiling experience with fragrance expert - Mr. Danny Ventura to find out more about fragrances. 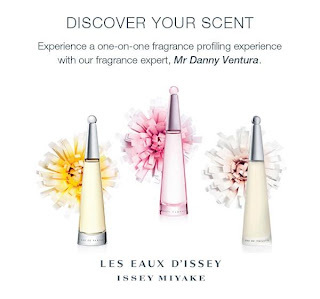 This fragrance profiling will be on from 23 - 26 Mar, at various time slots. Sign up now over at Metro Facebook store for $30 and you will get a complimentary goodie bag and a $30 fragrance voucher. Aveda offers free shipping with any purchase. Enter code WKND32 at checkout. Valid thru Mar 17. BareMinerals offers 30% off on select products. No code needed. Valid today, Mar 16, 9am to 9pm PDT only. BareMinerals offers a free Angled Face Brush and Brush Roll with any $35 purchase. Enter code ROLLIN at checkout. Valid for Mar 16 only. Bath and Body Works offers $1 shipping with any $25 purchase, and all 3-Wick Candles at 2 for $20. Enter code CANDLES25 at checkout. Valid thru Mar 19. Bloom offers 30% Cash Back Rebate on every purchase. No code needed. Valid thru Mar 19. Carol's Daughter offers free shipping and free Sugar-Dipped Vanilla Body Cream 8oz with any $50 purchase. No code needed. Valid thru Mar 18. Clinique offers free shipping with any purchase. No code needed. Valid thru Mar 18. Plus you can choose one additional deluxe sample at checkout. 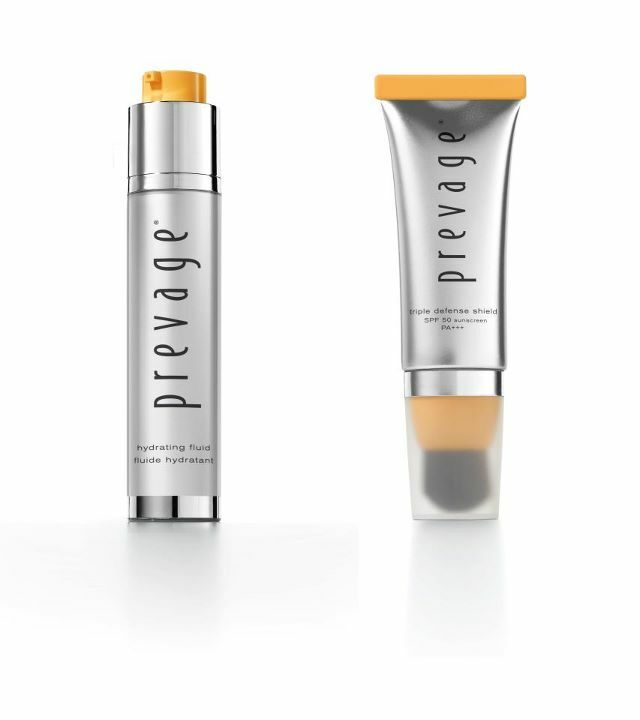 Dermstore offers free StriVectin TL Tightening Face Serum worth $15 with any $100 purchase. No code needed. While supplies last. Elizabeth Arden offers free shipping and free 8-pc Beauty Gift plus free Glam Carry-All with any $65 purchase. Gift includes deluxe samples of Ceramide Plump Perfect Ultra Lift and Firm Moisture Cream SPF 30, Ceramide Gold Ultra Restorative Capsules Intensive Treatment for Face and Throat, All Gone Eye & Lip Makeup Remover, Pure Finish Mineral Bronzing Powder in Medium with Kabuki Brush, Ceramide Ultra Lipstick in Watermelon, Ceramide Lash Extending Treatment Mascara in Black, and a Floral Cosmetics Zip-Top Case with a Bonus Glam Red Carry-All. Enter code ALLFORME at checkout. Valid for Mar 16 only. Estee Lauder offers "the eyes have it" trio free with any $50 purchase. Enter code EYESHAVEIT at checkout. Gift includes deluxe samples of Advanced Night Repair Eye Synchronized Complex, Sumptuous Bold Volume Lifting Mascara, and Lash Primer Plus Full Treatment Mascara. Valid thru Mar 18. Hautelook is having Crown Brush, Amal Oils and VIOlight event today. Juice Beauty offers free shipping and $25 off with any $100 purchase. Enter code 25FORU at checkout. Valid thru Mar 20. Philosophy offers 50% off all gift sets. No code needed. Valid for Mar 16 only. Prescriptives offers 25% off with any purchase. Enter code ILIKEPX at checkout. Valid thru Mar 19. QVC offers today's TSV of Tarte The Miracle of Maracuja 8-piece Smart Collection. Special price ends Mar 16 at 11:59 PM ET. Sally Beauty offers 20% off any $50 purchase. Enter code 555117 at checkout. Valid thru Mar 19. SkincareRx 50% off Beauty Vault is back. Enter thru link. Valid thru Mar 18. Smashbox Cosmetics offers $10 off any $50 purchase. Enter code SAVENOW at checkout. Valid thru Mar 18. Spalook offers 20% off sitewide. Enter code SPRINGSPA at checkout. Valid thru Mar 26. The Body Shop offers 40% off with any purchase. Enter code SAVEGREEN at checkout. Valid thru Mar 18. Time to Spa offers a free full-size Bliss Lemon & Sage Body Butter with any $50 purchase. Enter code LEMON at checkout. Valid thru Mar 31. Time to Spa offers 22% off any Elemis purchase. Enter code 22YEARS at checkout. Valid thru Mar 31. Time to Spa offers 4-pc Elemis Skin Booster Boot Camp with any $75 purchase. Enter code LOVEMYSKIN at checkout. Valid thru Mar 31. Time to Spa offers a free Steiner Abundance Volumizing Spray for Fine Hair with any $25 hair care purchase. Enter code PUMPIT at checkout. Valid thru Mar 31. Wei East is having St Patty's Day Sale of up to 50% off. No code needed. Valid thru Mar 18. Yves Rocher is having a Lucky Clover Sale of up to 50% Off. Plus get $5 Off with any $25 purchase. Enter code LUCKY5 at checkout. Valid thru Mar 18.